Alstern Technologies provides one-stop, cost-effective pipeline services and products. The company’s products concentrate on piping, pipeline integrity, maintenance and online modifications that enable piping inspection, intervention, isolation, repair, connection and testing work scopes. Alstern provides a variety of onsite machinery that is suitable for spark-free purposes, especially in the offshore, oil and gas, and marine industries. 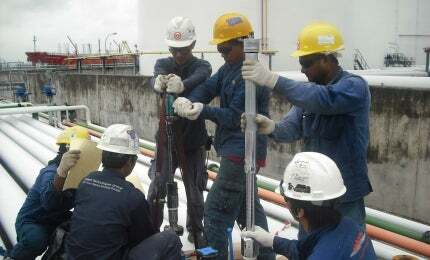 As an independent service provider, the company also supplies verification reports and environmental monitoring (ENV) and non-destructive testing (NDT) services. All engineering and technical personnel are HUET and BOSIET trained. A range of industrial machinery is available from Alstern, such as profile pipe cutting, pipe grooving, cutting and bevelling machines. These are widely used in pipeline installation projects for various industries such as chemicals, electric, natural gas, petroleum, shipbuilding and water transportation. Alstern offers professional leak detection equipment that accurately and effectively detects leaks in a short period of time. All products feature leak noise visualisation and digital sound analysis. Alstern provides customised design, management and implementation services for onshore and offshore projects. Ranging from engineering and pipeline installation to process and mechanical ventilation and air-conditioning (MVAC) systems, the company creates turnkey solutions according to the requirements of the client. Alstern Technologies’ client base includes companies from the marine, offshore, oil and gas, plants, buildings, power generation, public utilities and facilities management industries. Based in Singapore, the company has branches in Hong Kong, Myanmar and Indonesia. The company continuously develops its broad range of technical services, combining field experience and knowledge to create customised services with modern equipment. Alstern’s in-house support personnel implements a comprehensive approach to the project needs of the client. Alstern Technologies is certified to ISO 9001:2008 and OSHAS 18001:2007 to ensure its pipeline engineering services meet the highest standards.